Let your sleeping space glow! Who said string lights should be reserved for Christmas displays only? 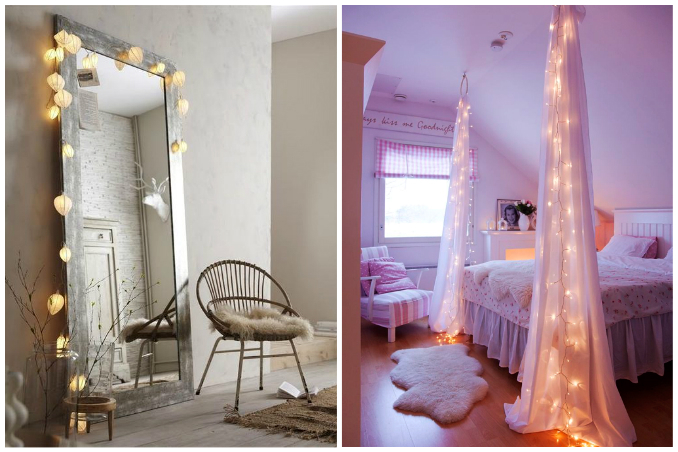 Instead of spending a ton of money on expensive mood lighting, these twinkly lights can be a great alternative for setting the mood and adding warmth in your sleeping space. Main photos from: Lina via Pinterest and Christmas Designers.